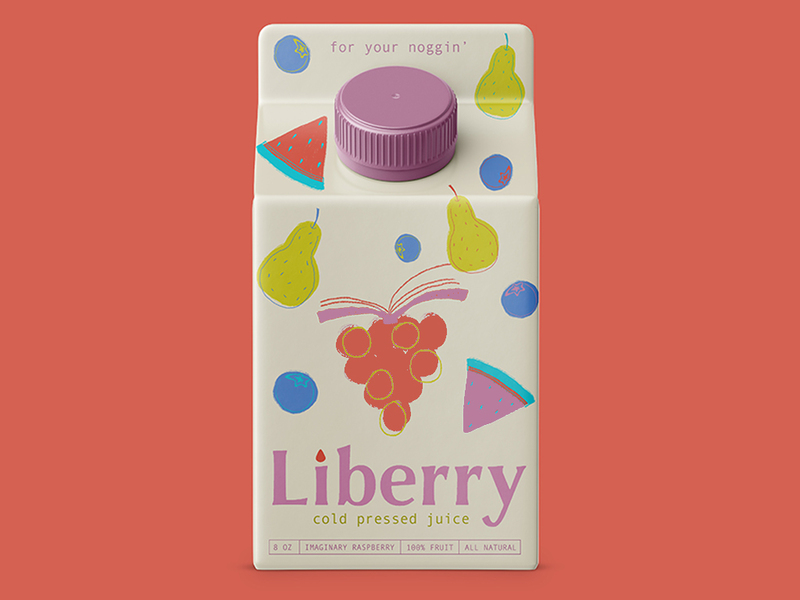 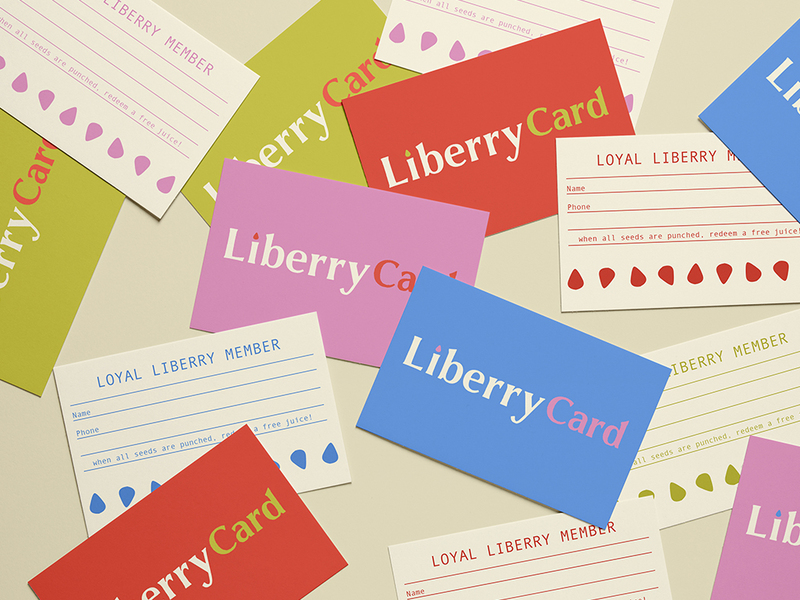 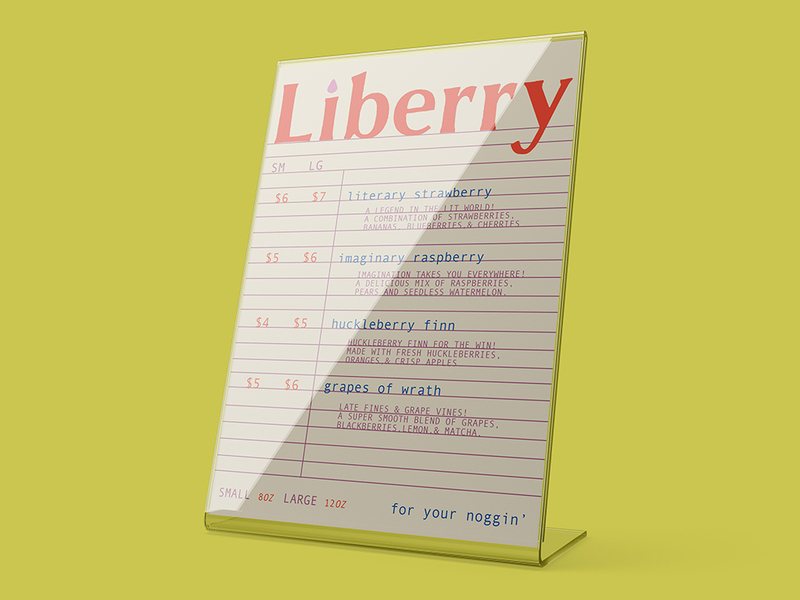 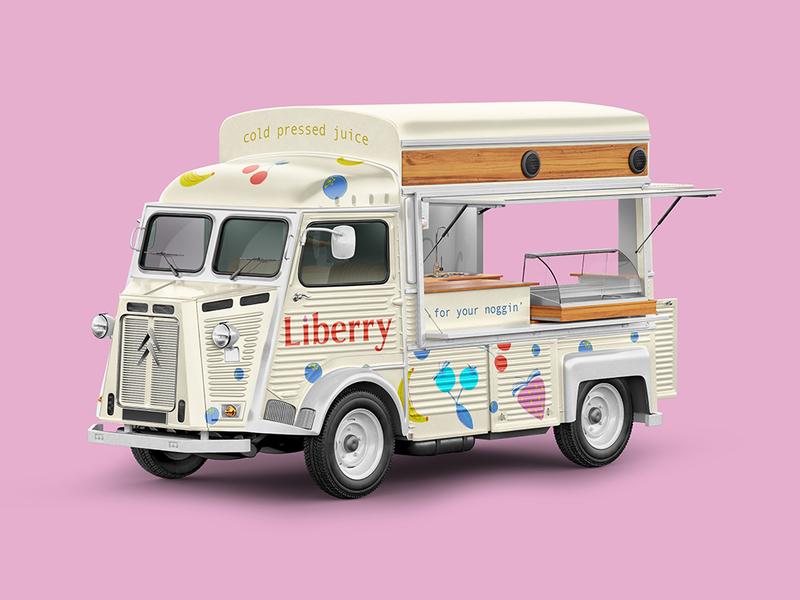 Liberry is a juice company for kids with a literary twist. 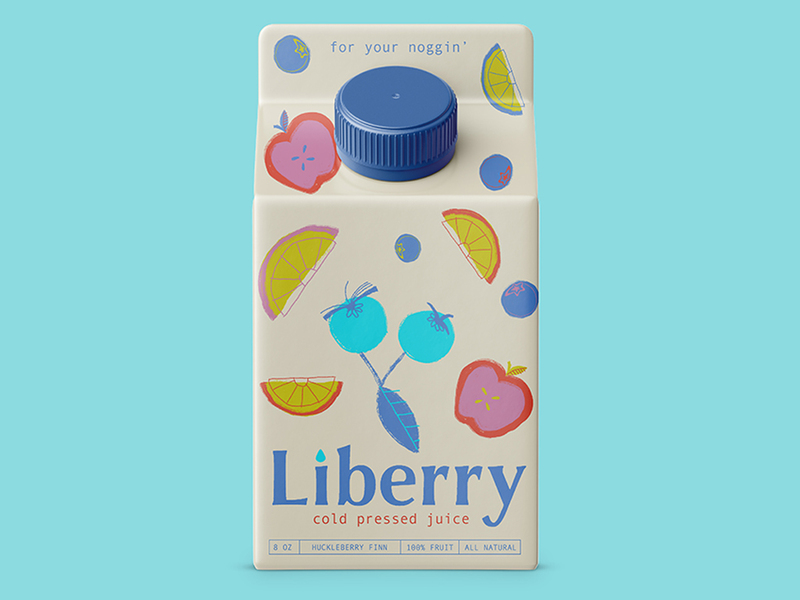 The branding includes juice packaging, a punch card, a menu, and a food truck (or, juice truck!). 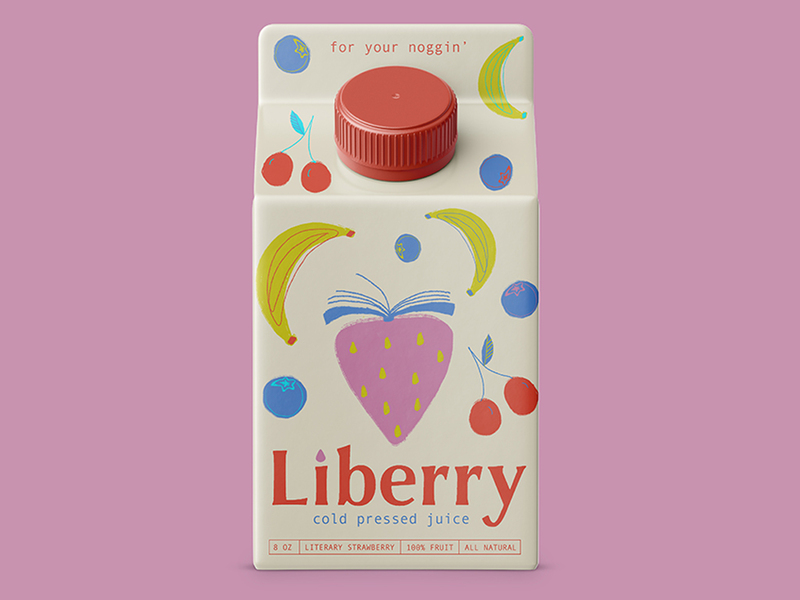 The logo depicts an open book as the stem of each fruit.